Way back in the dark ages of 2003, two architects decided they wanted young designers to have a chance to meet, share ideas and talk about their work. A simple format – twenty slides, twenty seconds per slide – keeps presenters and the event moving and on schedule. Naming the event after the Japanese word for chit-chat, Astrid Klein and Mark Dytham of Klein Dytham Architecture in Tokyo found that their concept resonated with people around the world. 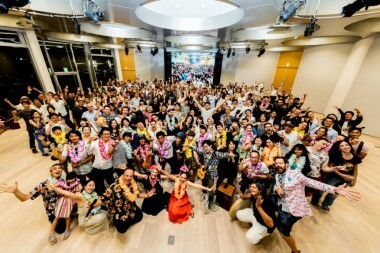 PechaKucha events are now held worldwide in more than 900 cities and are still going strong in Tokyo at the Super Deluxe in Akasaka, the original venue. Past presenters have talked about everything from ecosystem design in cities to the nomadic life of an artist to, of course, architecture, and their audience gathers to share projects and ideas, and see what other creative things people are thinking about and doing. 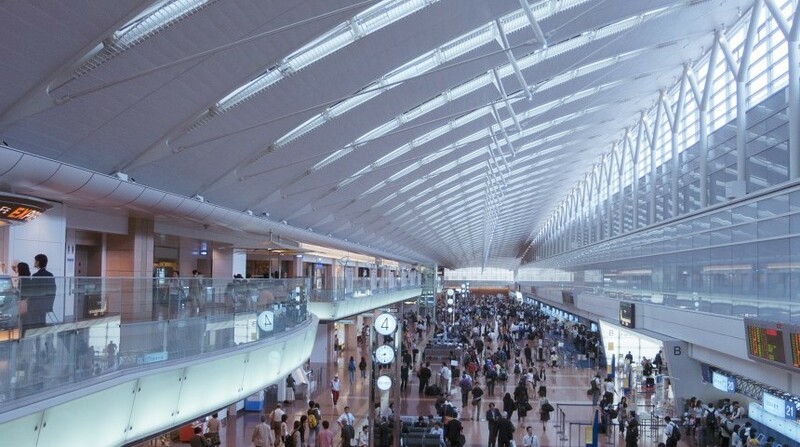 Haneda Airport will be the first international airport in Japan to install and try out a new facial recognition system for Japanese nationals in October. The dual aim of the new technology is to reduce waiting times at immigration to 20 minutes and strengthen counterterrorism efforts in preparation for the 2020 Olympic Games. The automated system will also free up immigration officers to handle the ever-increasing flow of foreign nationals coming into the country. Passengers will hold their passports over a reader which also takes their picture. The facial recognition system will read photo data stored on a chip embedded in passports and compare it with a photo taken at immigration to verify the holder’s identity. If they are recognized as the same person, the passenger carries on through the gate. There is no age limit for passengers, and no prior procedures are necessary. Tokyo Midtown’s popular annual event, Tokyo Midtown Kids Weeks, marks a ten-year anniversary as it again offers children and their parents a fun set of activities for the hot and humid days of summer. An addition to the lineup for this year is a School for the Future workshop series done in partnership with Ars Electronica, an Austrian creative organization; Musashino Arts University; and the Suntory Museum of Art. A variety of workshops will focus on such things as letting participants view the world from different perspectives (a ladybug or a bird, for example), fan-making and experimenting with technology and art. A stamp rally will also be held for collecting favorite images and creating a unique souvenir from the summer. Check the website for details and fees and enjoy a creative summer! On September 10, riders can cycle 70km or 100km through Iwate’s glorious landscape near this area, best known for its skiing and winter activities. (The FIS Alpine World Ski Championships were held at Shizukuishi in 1993.) 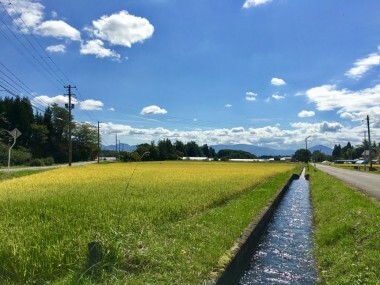 A tough but not impossible ride up Mount Iwate rewards participants with spectacular views and a breezy glide through lush farm fields ringed by mountains. Home-cooked and locally-sourced foods, such as onigiri and some of the season’s first apples, will keep cyclists energized and steady as they go. Registration ends on August 27th. For more information on how to register and related fees, please visit the website. 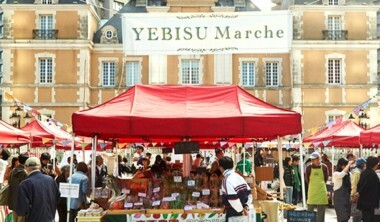 Originally created as part of the Marche Japon movement, the Ebisu Marche offers visitors a healthy taste of the season with a little bit of artisan work thrown in for good measure. Roughly thirty vendors are on hand under about half as many tents every Sunday, offering a mix of fresh fruits and vegetables, as well as green and herbal teas, jams, pickles, honey and the occasional baked treat. Takayuki Sugita’s table features mostly organic fresh fruits and vegetables from Oita, Miyazaki, Nagasaki and Fukuoka Prefectures. Closer to home and no less delicious are Saitama grower’s Kenjiro Yumoto’s seasonal vegetables. Check the market website for regional and foodly themes that will pique culinary adventurers of all types. Every Sunday, 11am to 5pm Nearest Station: Ebisu. Walk to Ebisu Garden Place and look for the red tents on the far side of the atrium. Lovers of words and those who love to work with them will be pleased to learn of the Tokyo Poetry Journal (TOPOJO). Established in 2015 by Barbara Summerhawk and a cadre of others in Tokyo’s literary world who felt there was a gap in opportunities to share current work, the biannual journal is published primarily in English. “I don’t know of any journals who currently publish poetry in Japan except online for the most part, such as Kyoto Journal and The Font: A Literary Journal for Language Teachers. Perhaps just as music aficionados now grow sentimental for vinyl, so do we yearn for the touch of papyrus; the issues are rare and special,” wrote Taylor Mignon, TOPOJO’s Chief Editor. Poems are accompanied by photography, mixed media, visual poetry and other artwork. Issue three, for example, contained QR codes for audio of lyricists and spoken-word poets that included collaborative efforts with musicians. Issues are themed, and the next one has a working subtitle of “Japan & The Beats & Surrealism” that will feature work by Kazuko Shiraishi and other Beat poets. “We hope to show a continuing of a Beat thread to the present day,” said Morgan. Submissions in English or in Japanese are welcome year-round from poets and writers anywhere in the world, as long as there is a connection to Japan.